Big Corporates make payments to their vendors in form of cheques. These cheques are high in volume. Corporates may also attach an advice to the payee along with the cheque containing information like – invoices against which the payment is made etc. Corporates look for outsourcing their cheque printing service to their Banks. Banks provide cheque printing service to their corporate customers. Customers are assigned the block of cheque numbers for their corporates. Cheques can be printed in a pre-printed stationery or a blank stationery. Printing the signature of the signatories captured as an electronic image. Printing of Cheques should be secured to prevent alteration of amount value in the cheque. Application uses security fonts to print the amount figures. Since the entire cheque detail including MICR Codes and Cheque Numbers can be printed, bank can use blank stationery and not have to use pre-printed stationery. 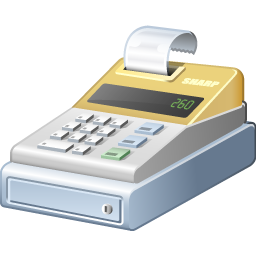 Cheque Numbers can be re-used in case of paper jam or printing issues. Corporate Customers can send their instructions to the bank electronically in form of a file, which can be securely transferred to the Bank via our Direct Pipe Desktop Application. Fees is charged either as per-cheque or on volume basis. High Volume handling – Printing to Multiple Printers parallelly.